Although this isn’t actually about chasing footnotes, it sort of began that way. I was trying to follow up on a comment about the Mantell crash and why it had happened. Nearly twenty years ago or so, I had a thought of creating a sort of peer review of UFO information using the Internet as the publishing vehicle as well as a way of getting that peer review. To that end, I selected the Mantell case because there was so much bad information about it out there, from the idea that he was an experienced fighter pilot and ace to the claim that he had seen some creatures inside the craft or that they had shot him down because he approached too close. The idea failed because no one wanted to invest the time and effort in creating documents of length about a case, some of the needed information was still classified at various levels, or maybe they all just thought it was not worth the effort. Why work so hard on a sighting because no matter the conclusion and how honest you believed the results might be there would be others who would reject the word because it didn’t fit their personal belief structure? I suppose I should have known that it was doomed to failure, but sometimes we all get overly optimistic. had a mere 67 hours of flight time in the F-51D type aircraft he was flying and 2867 hours in transports. Peeples doesn’t mention it, but Mantell had been awarded a Distinguished Flying Cross for his actions during the Normandy invasion (D-Day for those of you who aren’t history buffs) in 1944. The point is that he was an experienced pilot but that his flight time in fighters was relatively low which might explain part of this. I checked Richard Dolan’s UFO’s and the National Security State. Dolan suggested that Mantell was flying a P-51, which is the same aircraft as the F-51. The designation had been changed from “P” for pursuit to “F” for fighter, but many people make the mistake and it isn’t of much importance. He said that two of the other aircraft accompanied Mantell to 15,000 (while regulations required oxygen above 14,000) feet, but other documents suggested they climbed to 22,000 feet with Mantell. Dolan quotes from Mantell’s last transmissions suggesting the object is above him and that is metallic and of tremendous size. He finally reports that the object is moving about his speed of maybe a little faster. According to Dolan, Mantell said that he was going to climb 20,000 feet and if he was no closer he would abandon the chase. The records seem to suggest that Mantell was already at 20,000 feet, and he was going to climb to 25,000 and circle for ten minutes before giving up. It is now clear to all of us, that if Mantell climbed to 25,000 feet he wouldn’t have had ten minutes of useful consciousness. He would have passed out in three to four minutes because of hypoxia. The Air Force first claimed that Mantell had chased Venus, then a weather balloon and finally two weather balloons and Venus. Ed Ruppelt, when he took over as the chief of Project Blue Book concluded that Mantell might have been chasing a Skyhook balloon which could reach altitudes of nearly 100,000 feet, and given they were made of polyethylene, would have a metallic sheen in the bright sunlight. Ruppelt was unable to find a launch of one of those balloons on the proper date but there did seem to be one or two that might have been launched in the days preceding Mantell’s doomed flight. Here’s the problem, he mentions Cliff Stone, who is unreliable as a source on this, given the many unconfirmed tales he has told over the years. More importantly, Stone does not supply the name of his source, so not only is the information provided by Stone unverified, we aren’t provided with the name of this man with ONR. There is no way to check this out if Stone won’t supply the name. Or, in other words, we can trace it from Dolan to Stone to a “navy colleague. That tells us nothing about where the information originated, about the accuracy of the information or what documentation exists to confirm it. The trail ends at that point. We need to ask Stone about it. But here’s the point and it is one that we all too often ignore. We need to be able to trace the evidence to the original source so that we might be able to assess the credibility of that source. When I say, for example, that Edwin Easley suggested to me the path to the extraterrestrial was not the wrong path to follow in my investigation, we all could look at who he was. Easley, according to the documentation, was the provost marshal at Roswell in 1947 and was in a position to know. We can’t get beyond him, but we don’t need to. He was an eyewitness source who was clearly there in 1947. Unfortunately, in today’s world that information can’t be corroborated because he said it to me in an unrecorded conversation. He fell ill shortly after that and the opportunity was lost. You can accept it or reject based on your personal bias, but the point is, Easley was a named source who was in the right place at the right time. With Stone’s source we cannot verify his credentials, we don’t know if he was in the right place to gather the data claimed and that is the difference. Those of us engaged in UFO research, regardless of the side of the fence we inhabit, must be willing to provide proper sourcing for what we say. We must name the names and the documents. Once that is done, we can all argue about the interpretation, but we must be willing to share all relevant data so that everyone can see where it originated. Otherwise we are just spinning our wheels. There has been some talk inside the UFO community that DISCLOSURE is on the horizon with Hillary Clinton saying that if she wins the election, she’ll release the hidden UFO files. Others have said that President Obama has suggested that he’ll release these files before the expiration of his term, which would mean that it might come tomorrow or as late as January of 2017. 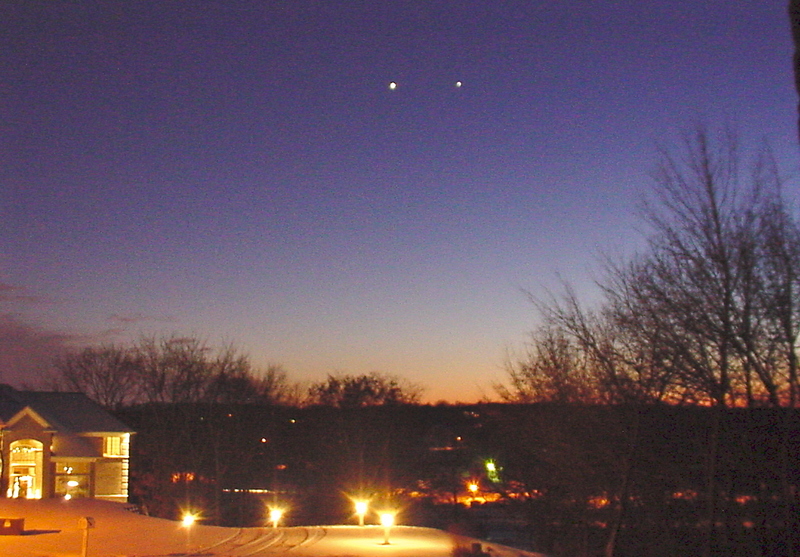 Venus and thought that it was an alien spacecraft. He thought that he would get to the bottom of UFO trouble. Nothing ever came from that, though these were some interesting times. There was even a suggestion that DISCLOSURE was going to happen almost immediately, but, in the end nothing came of it. Bill Clinton said the same thing. But then he was asked about the Roswell case and said that he hadn’t been told about it. It was during the Clinton administration that the Air Force “reinvestigated” the Roswell case and determined that what fell was just weather balloons and rawin radar targets. Didn’t matter that the explanation was essentially the same that they had claimed in 1947, it was the answer to the question that seemed to appease many. The point, however, is that DISCLOSURE was at hand, according to them, and for some reason it never happened. Skeptics will say it was because there was nothing more to release. DISCLOSURE had happened when the Project Blue Book files were declassified in 1976. There was nothing in them that was spectacular other than evidence that a classified project had been carried out, contrary to the various claims made by various officials over the years. True believers will tell you that there was no DISCLOSURE because the secrets being held were too disturbing to be shared with the public, or it would disclose secrets about the craft that the government did not wish revealed for national security reasons. They will point out that General Bolender had said that the best cases were not part of the Blue Book system, and others will say that Project Moon Dust picked up the slack. And now, once again, we’re promised DISCLOSURE. I don’t know why this has become an issue in this election, and while it is not a big issue, the mainstream media is talking about it, many of them seriously. It might be who one of the candidates is, or it might be that the President is looking for an issue to divert attention from other, more imperative matters, but there is discussion about it. But, it won’t happen for one of two reasons. Either there is nothing left to disclose or national security will stop it. Personally, given what all we have discussed here, at other blogs, in magazine articles, documentaries and books, all the secrets are out there. Some of them are so wild that no one other than a few nuts believe them (really, reptilians on the moon?) and some of them seem truly exciting but do not affect our lives in any way. If we learned to tomorrow that alien races have visited Earth, what difference would it make? We’d all still have to pay our bills, go to work or school, do chores, take care of those who need it, and wait somewhat impatiently for the next chapter of Game of Thrones. I would hope that no one is going to base his or her vote on the candidate who promises DISCLOSURE because there are other, more imperative issues for the President to worry about. But we all have to remember the history of DISCLOSURE… there isn’t one. It is sad that this promise is thrown out there periodically but it is even sadder that people still believe it will happen any time soon. I predict we’ll have full DISCLOSURE the day that alien craft lands to reveal the truth about alien visitation and not a second before. 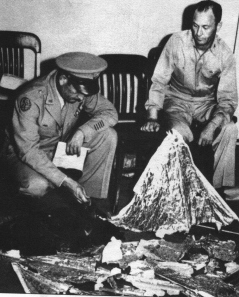 In the search for documentation about the Roswell UFO crash, some evidence has surfaced, though it is not the sort of thing that the proponents were looking for. Though the documentation is not definitive, meaning that it does not mention Roswell specifically (nor does it mention Aztec for that matter) it does affect the overall notion that something alien fell out of the sky back in the late 1940s. This is a letter, originally classified as “Secret,” written by Colonel Howard McCoy, who, at that time in late 1940s, was an intelligence officer who operated at the highest levels in the Air Force. He was at Wright Field in 1947 and was probably the author of the Twining Letter of September 1947, which announced that the phenomenon was something real and not illusionary or fictitious. He conferred with General Nathan Twining on a regular basis, and as I have pointed out repeatedly, was involved in studying these unidentified aerial phenomena since the days of the Foo Fighters late in the Second World War and the Ghost Rockets of 1946. Okay, it really doesn’t say much, but you would think that if there had been a crash of an alien craft near Roswell (or Aztec for that matter), McCoy would be one of those on the inside who knew about it. He wouldn’t need to consult with the CIA to learn if they might know of some project that would account for the UFO sightings. The last thing that he would want to do is create an interest in searching for information about the flying saucers. Don’t get fooled by the red herring that Stan Friedman has launched. True, the letter was only “secret” and we all suppose that the Roswell crash information would be “top secret,” and therefore couldn’t be mentioned in a document with a lower classification. But McCoy is asking for information and his request is classified at the appropriate level. That McCoy made the request at all is the important point here, not the overall classification of the letter. He could request the information he needed at a lower level of classification without violating any regulations and if the CIA needed to respond with top secret information, they certainly could have done that. That he asked at all suggests that he didn’t have an answer, which, if Roswell was alien in nature, wouldn’t be true. He would have known about it. Instead, he was worried about some domestic program that might be under the auspices of the CIA. 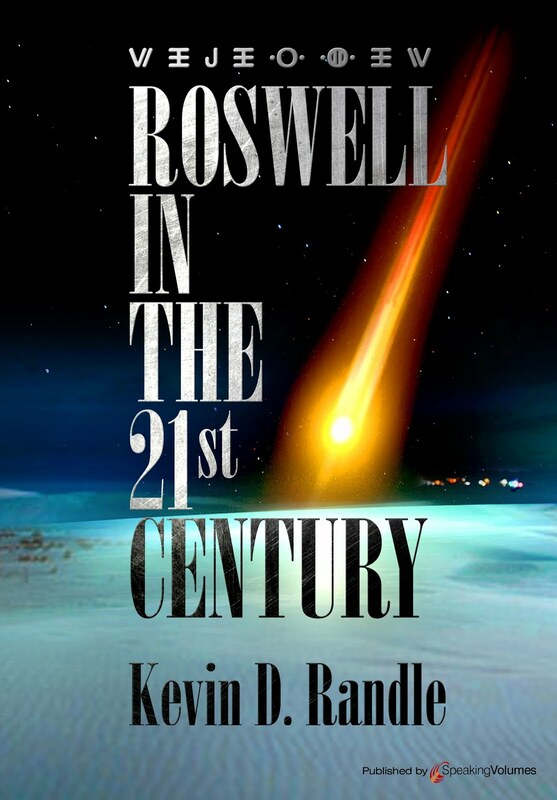 Had Roswell happened, the CIA wouldn’t have been involved, and even if they became interested at a later date, the Army had already collected the debris and moved it up the chain of command. The destination would have been Wright Field and if that was true, then McCoy would have been one of those officers who would have been responsible for the reverse engineering and gathering other information of intelligence value. This letter does not bode well for the Roswell crash proponents. I don’t believe that McCoy, or anyone else in 1948, would have been writing these letters as a diversion in case sometime in the future, flying saucer information found its way into the civilian world. They assumed then that anything highly classified would remain that way nearly forever because that is the way it had almost always been. Civilians had no need to know or right to information that was the property of the military. True, some was released, but these officers in 1948 knew that information from the First World War was still highly classified. McCoy wasn’t writing the letter to dupe us; he was asking the CIA for help in identifying the problem… which was the nature of the flying saucers. He just didn’t seem know and he should have if there had been the crash of an alien craft near Roswell. It is now time to consolidate all the information we have gathered about the date of the Aztec UFO crash. It began when it was claimed that the date had been identified and agreed to by all the various UFO researchers for a long time. That didn’t seem to be right to me so I decided to take a look into it. Yes, in my book, History of UFO Crashes, I said the date was March 25, 1948. I had gone through some of the literature on the subject and like everyone else; I liked the precision of having a single date for it. I also noted that this was a hoax, one that I believed everyone in the UFO community had accepted… well, there were a few who didn’t, but they seemed to be unaware of the history and in a relative minority. Aztec, New Mexico. Photo courtesy of Paul Kimball. I began a search for the original source of the March 25 date and couldn’t find it in the Scully’s early writing about UFO crashes. In fact, he didn’t even mention Aztec in the first article that he wrote in Variety in 1949. In the 1970s, the Aztec case resurfaced, but now there was a date associated with it. According to Robert Spencer Carr, the crash took place on February 13, 1948, (or more accurately, this is what Mike McClellan said in his Official UFO article.) But that date seemed to have slipped from the public consciousness because I don’t know if anyone else ever used it. I also ran across a couple of references that suggested the crash took place in either the spring of 1949 or in October of that year. Both of these were rather obscure which might explain why no one mentioned them very often. Then along came William Steinman and it seems that he was the one who pinned the date down to March 25. After Steinman, all who talked about the Aztec crash used that date. All this actually proves is that the date had been relatively fluid with dates as late as October 1949 and as early as February 1948. That many now accept the March 25, 1948, date as accurate strikes me as somewhat absurd. Do we really want to accept this date by consensus or would we rather have something a little more tangible? Here’s where I now dive into the pool. According to Scott Ramsey, his witnesses arrived at the scene of a fire that might have ignited some drip storage tanks that were nearby. He tells us that when Doug Nolan arrived, the fire was contained and the tanks were no longer in danger. Granted, no one has found a newspaper article about the crash from that time in that area, but I think what we should have been looking for was a story about the fire. This is, or was, remote New Mexico and a fire of the magnitude of the one described would have drawn the interest of the local newspaper. There should have been an article about the fire in the newspaper. The follow up question is, “Did anyone check the newspaper for an article about a fire in Hart Canyon in 1948?” It would seem to me that if such an article appeared in the newspaper, it would be some corroboration for the tales told by some of these witnesses. Not much, but some. Bob Koford made a statement not long ago that troubled me. He said that the March 25, 1948, date for the Aztec crash had been fixed by nearly everyone involved in the investigation. I seemed to remember that there was some question as to the real date and began to track this. I scanned Scully’s book but found no date. The same happened with J.P. Cahn’s article and in one written by Mike McClellan, I found February 13, 1948. But all this is not the point here. I thought that one of the best sources for this would be Frank Warren. He had an interest in the Aztec case and he and I had discussed it in a couple of email exchanges. Frank had been mentioned as one of the authors of Scott Ramey’s original book on Aztec, so I sent Frank an email. And have yet to hear back, which is strange because he rarely if ever let more than twenty-four hours pass before a response. This worried me slightly but not overly. In the last few days I have noticed that his website, which was updated daily, has not been updated since April 19 of this year. I have had no communication with him in weeks, and he usually asks to reprint an article or two from this blog every month. Surely someone out there knows something about this. Is Frank ill? Taking a vacation from UFOs? Has other, more pressing matters that demand his attention? If anyone has information, how about letting us know? If Frank is ill, I certainly wish him a speedy recovery. If it is something less dramatic, then I hope that he is able to resolve it quickly. If it is something more serious, I send whatever support that I can. But we need to know (and yes, I realize that we have no real “need to know” but it is my concern for him that inspired this). 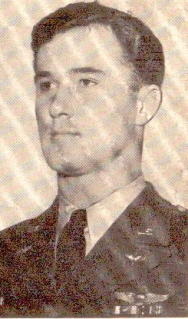 the late First Lieutenant (later Lieutenant Colonel) John P. “Jack” Trowbridge. 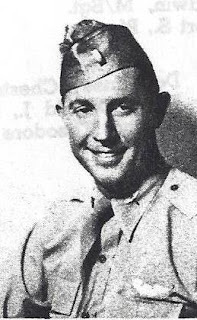 He had been assigned to the 509th Bomb Group in 1947 and in 2007 he said that he was one of the intelligence officers working with Major Jesse Marcel. He claimed that he had handled the “memory metal” debris that some have mentioned in the past. He also claimed that he had been over at the Marcel’s to play bridge that night in July 1947 but Jesse wasn’t there at the time. It was fairly late in the evening when they broke up the game because Marcel finally had returned. They apparently went outside to see what Marcel had brought home. He went on to claim that Marcel brought in some of the debris the next day and they all played with it and then went back to work. Later in the day they were told that nothing had happened and they should not talk about it. And I say nonsense. It is the proof of Keel’s theory that more and more people would come forward to tell their tales of seeing the alien debris or the bodies of the alien creatures as time passed. 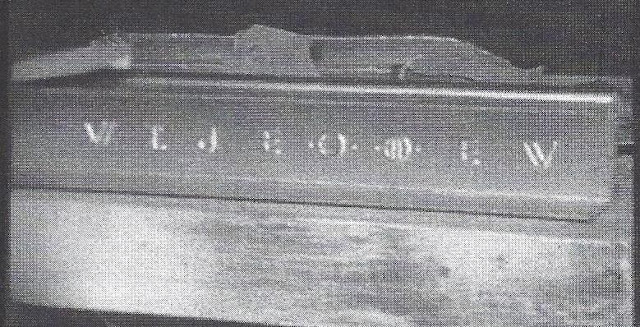 We know, based on the testimony of Jesse Marcel, Sr., Jesse Marcel, Jr., and Viaud Marcel that this bridge game didn’t happen because none of them ever mentioned it. Jesse Jr. told me, as he did many others, that his father woke him up to show him the debris. He never mentioned other people being there that night or seeing the memory metal that Trowbridge mentioned. His mother didn’t report that either and when Jesse Sr. was interviewed by Linda Corley, there was no mention of any of this. I have searched through the 509th Unit Histories for the summer of 1947 and I could find no reference to Trowbridge as part of the intelligence section. To be fair, few names were mentioned in those various reports, so it is possible that he was assigned to intelligence but simply not mentioned. 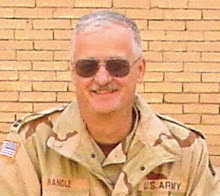 I do know that he was assigned to the Headquarters, but then those who had jobs at the group level or in the supporting organizations such as the JAG, or Finance were assigned there for purposes of accounting, pay and the like. Given the lack of mention of many of the things that Trowbridge claimed, that no one suggested a bridge party on that night, that his account varies from those given by the Marcels, and that he has some of the other facts wrong, I find this account to be unreliable. It is as John Keel said so long ago. There are many people coming forward with their tales of seeing the bodies, seeing the craft or handling the debris, and unless there is some form of corroboration, these stories should be rejected. While the majority of us understand that the Alien Autopsy was a hoax created to make money, and that the participants in it have declared it a hoax, there are still those who hang on. They provide a variety of explanations for this. My favorite is that after Ray Santilli paid big dough for all these canisters of film, most had disintegrated before he could get them transferred to another medium, so they “recreated” the footage. There was a very small portion of those films that could be salvaged and they were added into this recreated footage, which to my mind ruined their value if they ever existed. If you have just a small portion of authentic footage of an actual alien autopsy, why contaminate it by “recreating” other parts and splicing it in. Why not just reveal the actual footage, however little you have? To do otherwise opens you up to claims of hoax. For some reason this debate rages today with a small number of people claiming that parts of the autopsy footage is real. Never mind that military autopsies were always in color, were both filmed and photographed, and there would be a mounted camera in the room along with the photographers. All this was violated in the Alien Autopsy, but we’ll just ignore that. The picture you show here is from a TV Doc that Shoefield and Santilli had a hand in. It was called Eamonn investigates alien autopsy. As usual Ed is WRONG...They are the actual pieces as given by me to Santilli. The language seen on the beams are a mixture of English, Greek and Egyptian styling. Actually the debri pieces were all designed by me and John. The words indeed the shapes of the items have a firm rooting in Magic history and optical illusions. All of this is explained in great detail with examples of this in historical documents. Be that as it may, The beam that reads VIDEO when turned upside down. This is called an 'Ambigram'. In this case, It reads VIDEO one way, and ELEFTHERIA the other way using the same letters. Eleftheria means FREEDOM in Greek. My thinking was most people would think the word VIDEO is a modern word and cause them to think this was a modern day film and therefore a fake, but an educated person would point out that Video is Latin and a very old rooted word. Eleftheria, seemed like a wonderful concept to name ones ship, or boat or in this case a spaceship. Although Ed maintains that the bits in Santillis trunk are not the same, they are. In my book I also reveal the entire footage of the Debris frame by frame BEFORE it was aged by me. My camera original is VERY clear and shows a lot more detail than the film we released into the public domain which I washed out and aged heavily and as a result, shows a lot less detail. I'm happy to amswer any questions you may have. You’re not going to get anywhere discussing the props from the Ant and Dec Alien Autopsy movie as that is what the stuff is in Ray’s car boot. It was recreated for the movie from the designs used in Spitz’s AA footage. Unfortunately Spitz over egged his recreation footage in a few places, I say this because the original “video” beam he based his version on didn’t have those raised symbols it actually only had the simple surface features as described by many of the original Roswell witnesses. Ie here’s the original beam. But here is the problem for me. I saw the debris footage not long after the autopsy was announced and that included the tent footage that was too dark and wouldn’t make for compelling television, the black and white autopsy in a hospital-like setting, and the footage of some soldier wandering among the tables holding the debris. It was run several times, and what struck me then, before this Ant and Dec Alien Autopsy movie was even in the planning stages was that I-beam (yes, I know it is really an H-beam) had the “video” word on it then. It was about the first thing that I noticed and I say again that this was within weeks of the big unveil of the autopsy in London. The H-Beam from the Alien Autopsy footage and not the Ant and Dec movie. Photo copyright by Philip Mantle. Here’s the thing. We have the guy who created the film telling us some of the details about how it was done. We have the drawings and photographs of this as the creatures were created. And there is no real provenance for the footage. Nearly everything we were told about it was untrue from film of Truman walking the debris field to the film of the cameraman “confessing.” Finally we’re told that all this was for the movie by British comedians about the whole fiasco, and we are now supposed to believe that the evidence is actually from this movie rather than part of the original autopsy. Well, no, it is not. I saw the original films and I saw the word video on the beam and I have been saying this for nearly two decades. That the word video is on the beam is just one more reason to reject the autopsy hoax… but there will always be those who simply can’t let go. 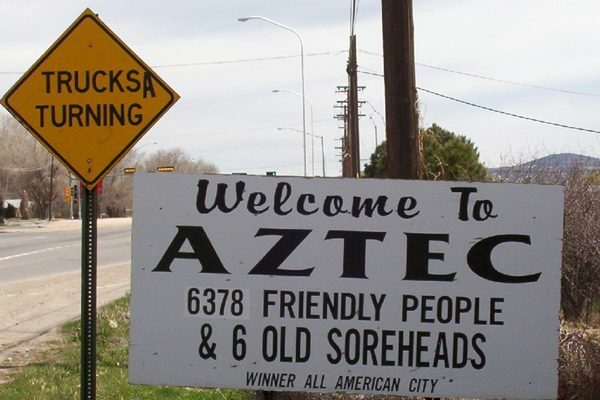 As those of you who visit here on a regular basis know, there has been a question of when the Aztec crash took place. It was stated that March 25, 1948, was the agreed upon date by nearly everyone. It was considered solid, but I seemed to remember a number of different dates being offered, so, on a lark, I began looking into that. And I did find a number of different dates being offered until William Steinman seemed to settle on March date in his book UFO Crash at Aztec. After the publication in 1986, the date became solid. The Roswell "Saucer" in Ramey's office. But that's not the point here. In the search, I reread the J.P. Cahn story, "The Flying Saucers and the Mysterious Little Men," (who BTW, were described then as perfect humans of small stature with perfect teeth and dressed in 1890 garb), published in True in September 1952, I found an interesting sentence or two in that article. Cahn wrote, "Back on July 9, 1947, only two weeks after private flyer Kenneth Arnold had alerted the nation with his nine disks seen skipping 'saucer-like' near Mt. Rainier, Washington, Southwest newspapers headlined that a captured disk that had fallen on a New Mexico ranch was a dud. 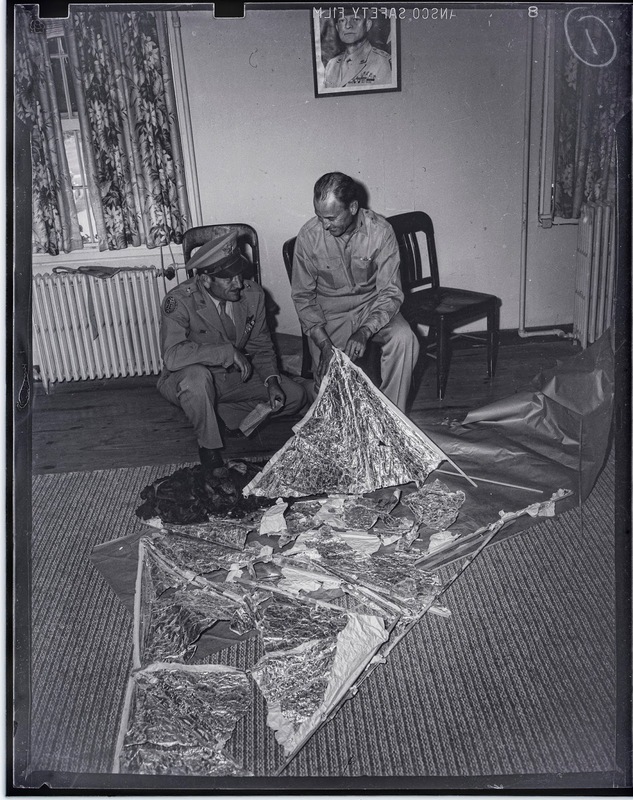 That one, when delivered to the Eighth Army Air Force, was identified as a tinfoil-covered reflector from a weather balloon. [which is seen in the photograph]." Unless you're unable to read, that clearly is a reference to Roswell even though the town wasn't mentioned and it was made only a little more than five years later. I just found the reference interesting given that Cahn's article was about a different crash. I'm not sure that it means all that much, but thought I would mention it for what it's worth. Since it has come up in the discussions here a couple of times, I thought I would identify that high-power government lab that was supposedly involved in an effort to decrypt the Ramey Memo. According to Colonel Richard Weaver, who answered my question about it without reservation, it was the National Photographic Interpretation Center which was part of the CIA back in 1994. I filed a FOIA request with them and received a fairly rapid response. They let me know that the CIA is not the repository for records of other government agencies, which, of course, I already knew. The request had gone to them because the National Photographic Interpretation Center had been part of the CIA at the time. By the time I filed my request it had become the National Geospatial-Intelligence Agency and fell under the auspices of the Air Force. The CIA supplied the names of the FOIA program managers at both the National Geospatial-Intelligence Agency and for the Air Force. Good information and helpful and I, of course, filed the requests on the day I received the letter from the CIA. All well and good, but I wasn’t asking about something that had taken place in 1947, but had occurred in 1994. The parent organization of the National Photographic Interpretation Center was the CIA. Had I wanted information that preceded the creation of the CIA, I would have communicated with the National Archives, but I would have also asked the CIA because September 1947 was a reorganization of the intelligence community and not the creation of a brand new organization. Department of Defense and government customers with CAC cards should go to https://www1.geoint.nga.mil. First time users must first register their PKI/CAC credentials with NGA. Go to: https://pki.geo.nga.mil/servlet/RegistrationForm. You have to fill out who you are, command, supervisor (name/phone/email), and security officer (name/phone/email). When submited, [sic] the registration request is sent to your supervisor and security officer for approval then to NGA to be registered. Once registered, you'll be able to access our NIPR site and have access to NGA products and services. Probably one of two things, neither of them important. First the National Geospatial-Intelligence Agency didn’t spend a lot of time trying to read the memo. Someone may have looked at it, couldn’t make out much and quit. They told the Air Force they couldn’t read it which made the Air Force happy, and that was the end of it. Second, I don’t view this as a cover up but as one governmental agency asking another if they can help and in the end the second agency said, “No.” It wasn’t their job to decipher cryptic notes on a piece of photographic film from a half century earlier. The Air Force could report the failure and move onto other things. Of course, I made the rounds, going from the CIA which was originally the parent organization of the National Photographic Interpretation Center to the Air Force and then to the National Geospatial-Intelligence Agency and never did get a good answer. They only told me that they had no records, and given the nature of the request from the Air Force, I don’t find that strange. Now everyone knows the name of the lab and a little of the history that goes with it. There really is nothing of importance here, other than we did attempt to find any documentation but in the big bureaucracy that is the US government, you need a really big shovel to sift through all the crap. There is something new in the story of the WOW! Signal. This is signal detected by radio astronomer Jerry Ehman in 1977. It was a strong blast that lasted for 72 seconds and was never repeated. 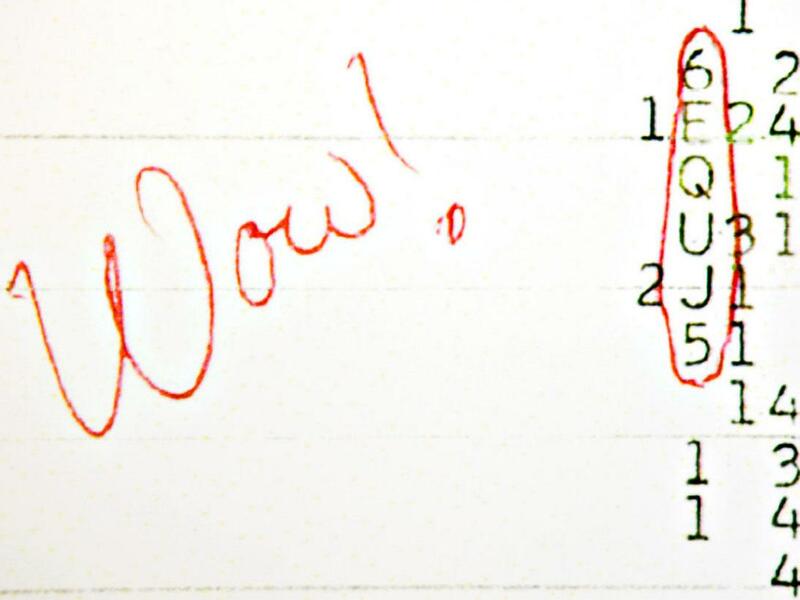 One explanation for the signal was that it was from an alien civilization on a far distant planet (which, of course, would describe any planet not in our solar system). 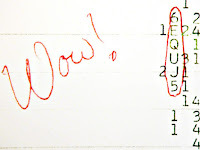 He circled that point and wrote, “Wow!” next to it. Now a fellow at Florida’s St. Petersburg College, Antonio Paris, is suggesting he has a possible explanation for the signal. It wasn’t from another planet in another solar system, but from a pair of recently discovered comets. Certainly not as exciting as a suggestion that the signal came from aliens. His theory is just that, a theory, but he hopes to be able to gather additional information. Since this has become an issue in the last couple of days, and there are those who wonder if the new scans were made from the original negative, I thought this might be of help. Those who traveled to Fort Worth to examine the negative were experts in photography and forensic photographic analysis. Those at the University of Texas at Arlington, who received the negatives from the Fort Worth Star - Telegram, assured us that these were the original negatives, and there is no reason to doubt them. Others have suggested that the negatives needed to be examined on a light table and under magnification to complete the analysis. This, of course, was done. In the past I have published here, with the permission of the University of Texas at Arlington, photographs of the entire negatives which contain the markings on the edge and the complete, uncropped negative for examination. I will again publish that photograph. J. Bond Johnson, who took the photograph said that he used a Speed Graphic camera and 4 x 5 negative film. This, I believe, should put to rest some of the questions about this, and provides a complete look at the picture. As those of you who visit here regularly know, I am not a fan of the Aztec UFO crash of 1948. I have followed the story since I was in high school and remember finding a copy of the True magazine article in a Denver used bookstore in the early 1960s. To me, it was the definitive investigation of the case. I watched in the 1970s as the story was revitalized for a few months, and then in the 1980s when William Steinman wrote his book about the case that was filled with misinformation, leaps of logic, and a really bad organization without an index. We’ve seen another attempt at this with Stan Friedman leaping aboard the bandwagon of Scott Ramsey’s parade toward the ridiculous. Although Ramsey has claimed he has spent half a million dollars in his reinvestigation (and I have no reason to doubt that figure) but his attempts at revitalizing the tale have fallen short. He has no real documentation, he has some interesting historical facts that aren’t all that relevant and a few relevant ones that he believes are unimportant and some testimony that seems to be almost first hand but really isn’t. While I would like to join that parade, the evidence, at least to me, falls way short, and I’m sure that I’ll be labeled just another debunker. It is far easier to label those who disagree with you than to respond to the criticisms that they might raise (Friedman called me an anti-abduction propagandist for my position on that topic). For example, I found the Donald “Sam” Bass tale to be unreliable. Bass couldn’t be interviewed because he had allegedly died in an automobile accident while serving in Vietnam. I cited the list of those killed kept by the Park Service who maintains the Vietnam Memorial in Washington, D.C. as my source to reject the tale. Bass’ name was not on it. Ramsey said that they claimed that they might have missed some of the names though they had worked to make sure the memorial contains list all those who died in Vietnam. I said that if we had his serial number, we could gain his records as another way to check the tale. While Ramsey said he did have the serial number, he wouldn’t supply it to me so that I might verify the information about Bass. Ramsey also used the “first-hand” testimony from Doug Noland. I was never sure if Ramsey actually interviewed Noland or if he was using a tape of an interview with Noland that had been made by John Lear. It is clear from the information available that Noland had not gone into the interview “clean.” I mean he had read Steinman’s book and was aware of the story. Noland didn’t seem to be a real good source, but there was a tape made of his discussion with Lear. In comparing Scott Ramsey's video presentations and the Books, he has Doug working for either El Paso Gas or El Paso Oil in 1948. In the book "The Pipeliners - The story of El Paso Natural Gas" at page 151, the company did not arrive in the San Juan Basin [which encompasses the Aztec area and a large part of the Four Corners] until the summer of 1950 (I [this being Shriver] have found several other inconsistencies between Scott's videos and the books). In a publication by The New Mexico Geological Society it quotes from a book by Thomas A. Dugan in a section called "The San Juan Basin-Episodes and Aspirations" as follows: "In February 1950, the Federal Power Commission issued a temporary permit to El Paso Natural Gas Company to lay a transmission line from the San Juan Basin to the California border. The final permit was issued July 14, 1950 and gas started moving through the line during late summer of 1951...Farmington and the San Juan Basin changed drastically and would never be the same again...El Paso immediately became the most active company and the leader of development in the basin in the fifties and sixties..." There is no record of any other company having the name El Paso Gas or El Paso Oil except for the El Paso Natural Gas Company. Ramsey also has Manuel Sandoval patrolling a Southern Union Gas line from the San Juan Basin to Los Alamos in 1948. In Dugan's "The San Juan Basin-Episodes and Aspirations" he notes that "On March 3, 1949, The Atomic Energy Commission announced their plans to build a pipeline from a point about 25 miles south of Bloomfield to Los Alamos, about 30 miles northeast of Santa Fe. The gas would be purchased from Southern Union Gas Company; the line was to be completed before winter". Ramsey's source has Mr. Sandoval patrolling the line more than a year before it was built". None of this bodes well for the Aztec tale. I have mentioned in the past that there are no local newspaper articles about it, and some of the witnesses have altered their stories radically over the years and many of the long-time residents say that the crash never happened. The town seems to be split into those who believe the story and those who don’t, which is no real surprise. It does seem, as mentioned in other posts here, that the weight of the evidence suggests that this tale is not based in fact. 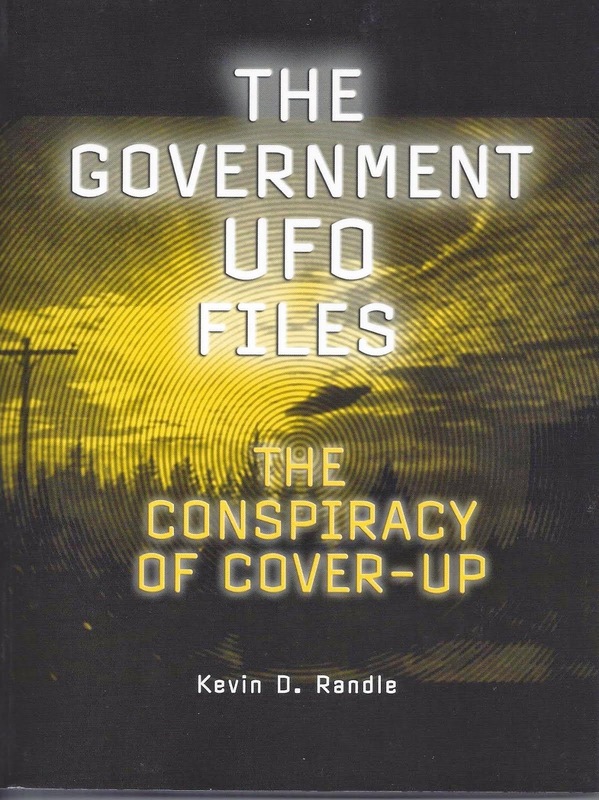 Shriver, who tells me he has “retired from rebutting Ramsey’s Aztec UFO claims,” has provided another rebuttal to the new version of the book. It is an interesting document, but for those without a board understanding of the Aztec crash claims, it will be difficult to follow. It is just one more nail in the coffin of a tale that should have been buried a long time ago.